A clear mind is always on the go. The mind is constantly working out solutions to problems and solving the issues of the day. A mind that is stressed or strain struggles to work properly. The mind can get overwhelmed and then freeze and become stagnate. Problems donât get solved and issues continue to pile up. Likewise, the eyes need movement to work properly. When the eyes are relaxed, they are moving around and enjoying the world around them. When eyes are strained, they stare and vision worsens. The eyes love to stay busy, rapidly moving around and taking in the sights all around us. Eyes donât like to stop moving and focus on only one item. 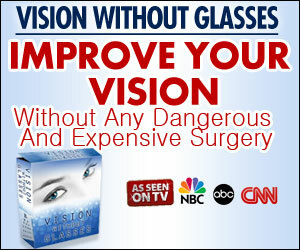 When this happens, the eyes start to strain and concentrate and vision is not as accurate. Your eyes and brain work at a much more rapid pace then we give them credit for. When we are out in nature, the eyes are moving quickly from one tree or flower to the next. The only time they stop and stare is when your brain isnât aware of what it is looking at. If you are looking at roses and then a unknown flower comes into focus, you will stop and stare until you realize it is a daisy and then move on. Eyes never stop moving, unless we force them to. Even when we are asleep the eyes are moving around in the darkness. When the eyes are still for too long, they start to become damaged and lose the focus. Eye movement should always be smooth and flowing, never jerky or bouncing around. You can teach the eyes to move smoothly by tracing objects. The eyes donât have to look from one item to the next in jerky movements. Try tracing around the edges of objects. Look out the window allowing your eyes to outline cars, buildings, trees, and bushes. After a few times, the objects should start to get clearer and the color brighter. You can trace just about anything, couches, chairs, and the television. Do this exercise at least once a day to train the eyes to really look at things and not just stare.